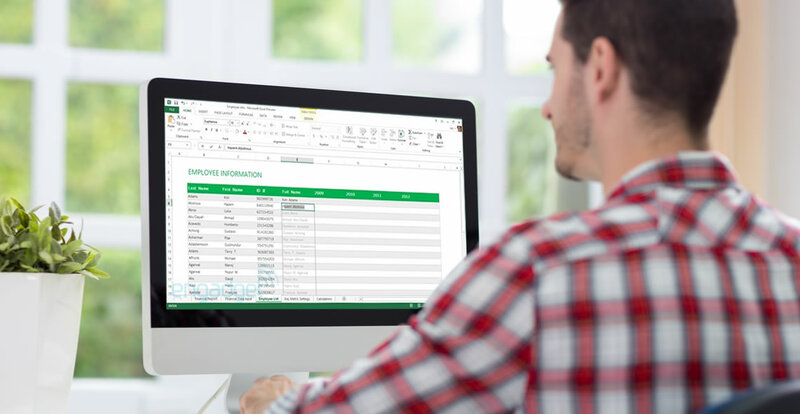 This course is aimed at three levels of employee knowledge and skills in the use of Excel Spreadsheets: (a) new users of Excel and those who have a basic understanding of its features (Level 1); (b) those who have been using Excel for a while but wish to learn more about its many other features and applications (Level 2); and (c) ‘power’ users, who wish to harness the full capability of Excel’s extraordinary power, in order to manage data (Level 3). The Level 1 course provides a full overview of all of the most common features of Excel and how to use them. Upon completion of the Level 1 course, employees will have a basic understanding of how to use many of the functions of Excel and be able to use the programme with ease. Level 1 users are now prepared for the Level 2 certification. The Level 2 course will expand on what was learnt in the Level 1 course and will teach more advanced concepts than those that were presented in the first course. Those with some experience in Excel may feel that they can skip the Level 1 course, but it is highly likely that there are Level 1 functions that the employee is not using, and it is best to go through the course and review its content, before starting the Level 2 material. Level 2 covers most of the functions in Excel, and, upon completion of the course, the employee will have the skills necessary to use Excel in most business environments. They will also be fully prepared to begin the Level 3 MS Excel course. The Level 3 MS Excel course is the most comprehensive of the three Excel courses presented here. If the employee has successfully passed the Level 1 and Level 2 courses, they will be fully prepared to begin this more advanced course. Once learners have completed the Level 3 course, they will have access to the full functionality of Excel and will know how to use all of its formulae, functions and capabilities. Who can take the Levels 1-3 Microsoft Excel Certification course? How long does it take to complete the Levels 1-3 Microsoft Excel Certification course? We estimate that the course will take about 40 hours to complete in total.